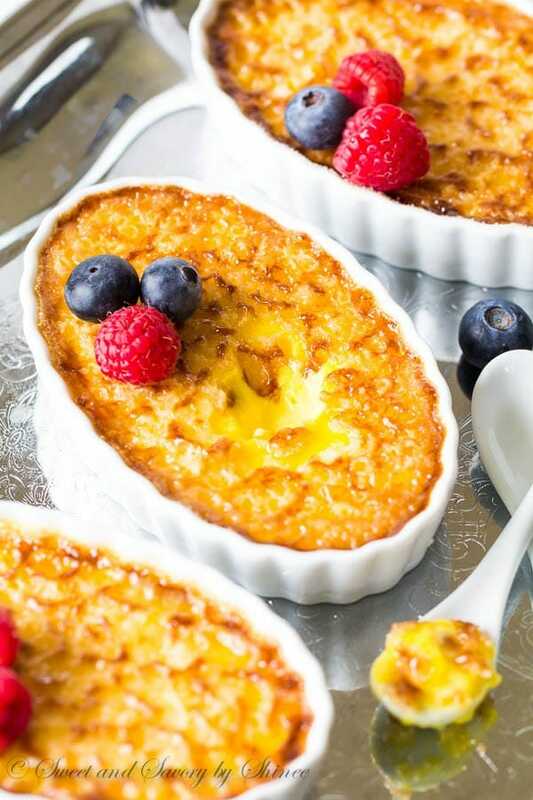 This creamy dreamy classic creme brûlée is incredibly easy to make, yet exquisite dessert to serve at a party. Bonus, you can make it ahead. As you may know, baking is a science. It’s important to follow the recipe to the T. Especially, if you are attempting a new recipe. And yet you still can end up with something like this. Anyone can relate? I don’t know what went wrong, but this was supposed to be a blueberry crème brûlée, my New Years Eve dessert. I followed every step in the recipe (or so I thought), but to my horror, this is what I’ve got. 🙂 I should mention that this was my first attempt at making a creme brûlée. 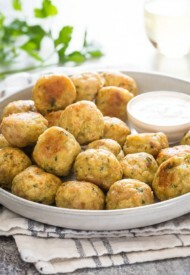 Note to myself, don’t plan on making a totally new recipe for a special occasion! Thankfully, I had other desserts to serve to my guests. Have you ever had kitchen failures? I’d love to hear your story, share it in the comments below. 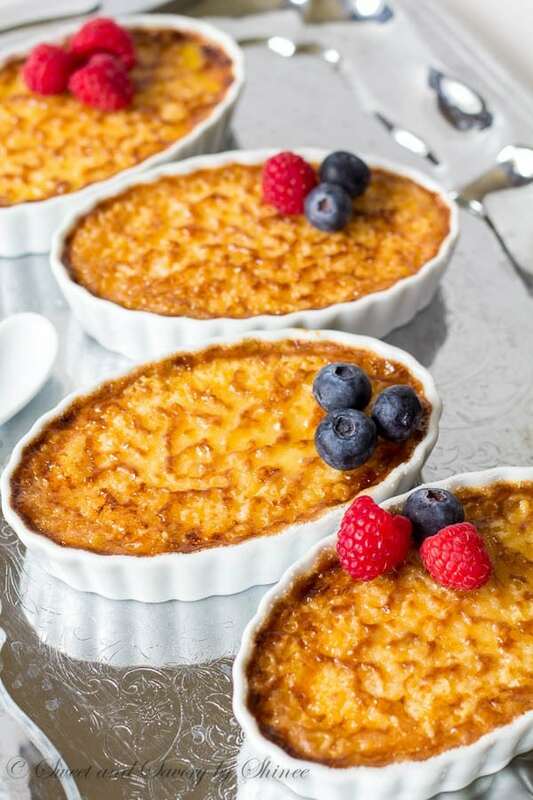 Although just a thought of making crème brûlée again made me cringe, I really wanted to learn to make it as it’s one of my all-time favorite desserts. After a little bit of research and testing, I’m ready to share with you a fool-proof classic creme brûlée recipe. It really is quite simple. Simpler than making an ice cream, or pudding. 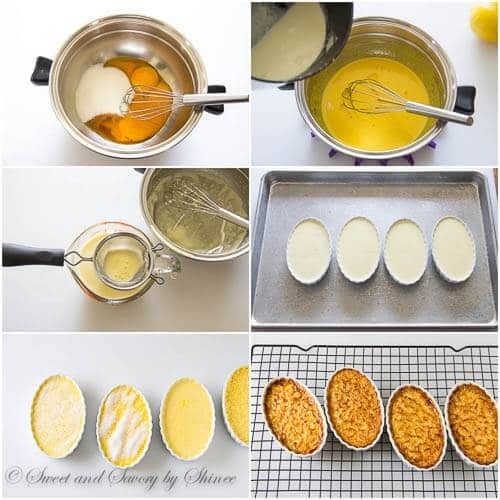 Basically, you warm up some cream, and then temper the egg yolk/sugar mixture with hot cream and bake it until set. And you don’t even need to own a kitchen torch to create the beautiful hard caramel crust. Broiler works just perfect! The key here is to pre-heat the broiler before placing the custard in the oven. 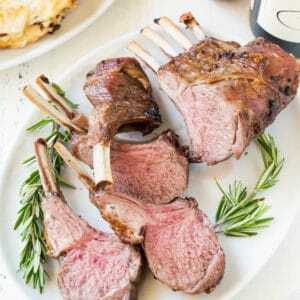 Set the top rack on the highest and broil for just 2 minutes or so. Keep an eye, because the sugar melts rather quickly. 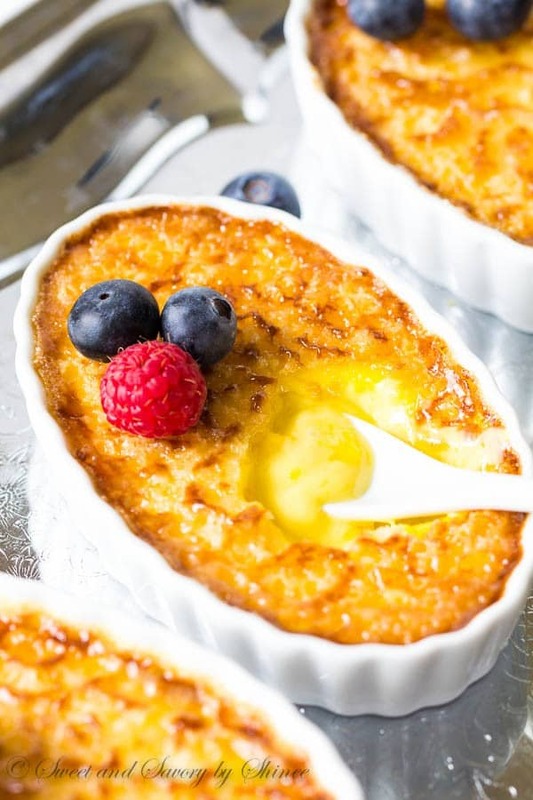 If you love creme brûlée, I hope you give this a try! In a medium saucepan, bring the cream to a simmer on low heat. Don’t boil. Turn the heat off. In medium bowl, whisk together egg yolks, 1/3 cup of sugar and vanilla extract. To temper the egg yolk mixture, pour about 1/3 cup of warm cream while continuously stirring the egg yolk mixture. Add remaining cream, salt and lemon zest and mix well. Strain the mixture through a fine-mesh sieve. Place 4 ramekins in a deep baking pan and divide the custard into ramekins. Pour hot water into the baking sheet to reach halfway up the side of ramekins. Bake for about 30 minutes, or until the custard is set. Take the custards out of water bath and let them cool to room temperature. Then refrigerate loosely covered with plastic wrap at least 3 hours or overnight. Right before serving, heat the broiler. 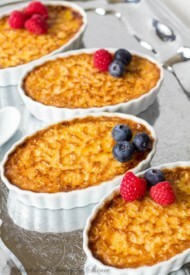 Evenly sprinkle 1 tablespoon of sugar on each custard and broil for 2-3 minutes until sugar is melted and caramelized. Keep a close eye to prevent burning. Looks absolutely delicious Shinee! Saw it on Foodgawker 🙂 I never use a torch for the crust, I make it like you under the broiler, just like you. Pinning!